I’m still so excited over our apple-picking porch party that was featured on SMP Living last week. 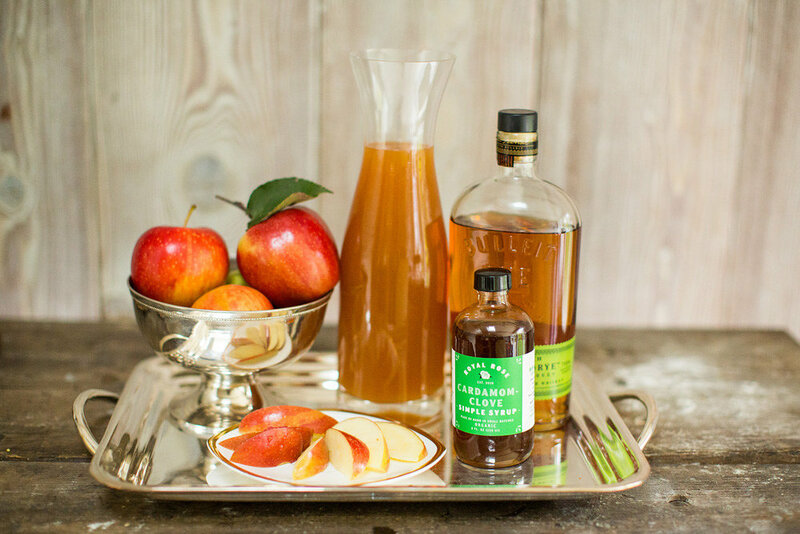 And it’s not a party without a signature cocktail — our autumn apple punch was a perfect pairing for our tasty treats. 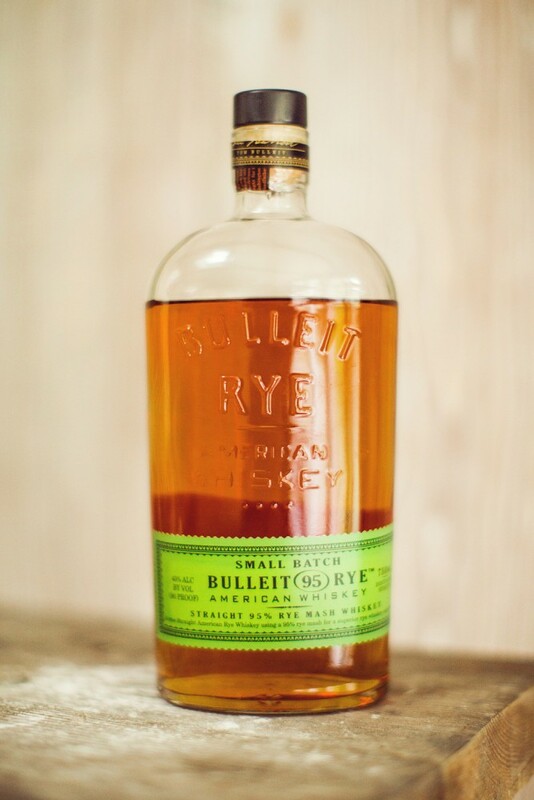 We mixed up Bulleit Rye, apple cider, and cardamom clove simple syrup with a squeeze of lemon juice and served them in mason jar mugs with an apple garnish. I’m not going to lie, we had quite a few of these that weekend, and they were so darn delicious—I had to share the full recipe with you below! 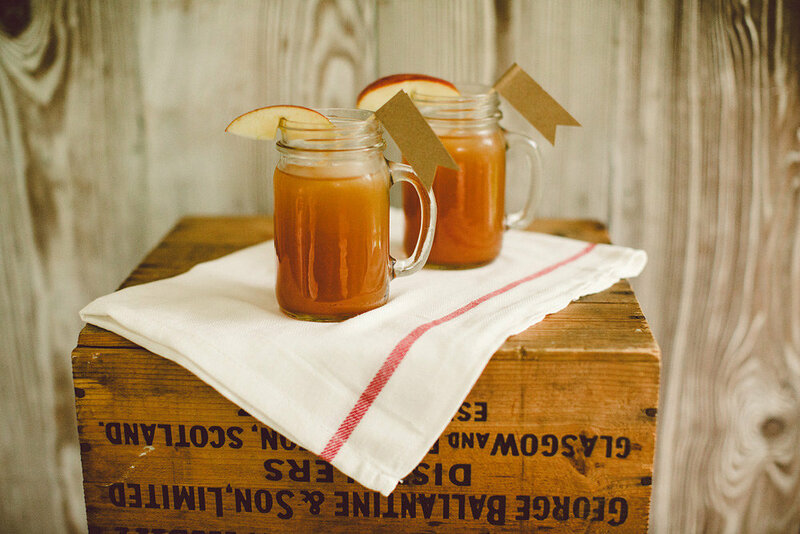 Combine 3/4 cup of apple cider, 1/3 cup of bourbon or rye and 1 tsp of cardamom clove simple syrup over ice. Squeeze a slice of fresh lemon juice into the mixture and divide into glasses. An Apple-Picking Porch Party. Baked Brie with Apple Compote. 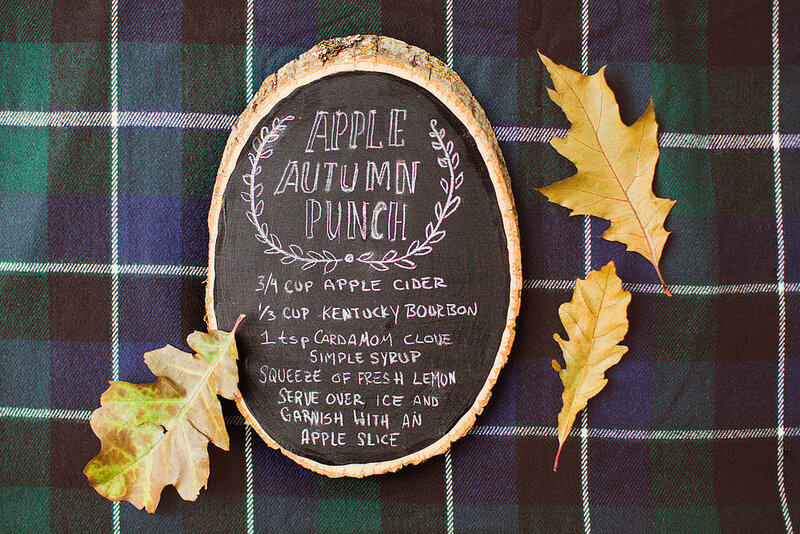 6 Responses to "Autumn Apple Punch." That is PERFECT. I seriously would love a glass of that right now! There might be a unimind situation happening here…we served literally this exact same signature cocktail at our Halloween party last week. Bourbon and beautiful styling forever! (Although we may have had more of the first than the second, haha).